This chapter finds the players deep in the Underhive, in the city of Dust Falls where they uncover a sinister plot behind the disappearances, and meet a new companion. This portion of the campaign takes place in Dust Falls - one of the major cities that dot the Underhive. Like most of the Underhive, Dust Falls offers every opportunity for wealth, power, and danger. However, it is a violent place, just like the rest of the Underhive, and life itself is cheap. Infant mortality is high; the average life expectancy low, and the air tastes of ozone and tin, the food and water are (thankfully) recycled and processed beyond recognition. Wealth and a strong right arm are your only security. No one knows exactly where it came from, but in a time now long past a thread of dust dribbled down into the Underhive and began to pile above a dome. Grain by grain that pile grew until the dome beneath it gave way in a cascade of debris. More dust fell and was added to by the detritus of collapsing domes, until the dust had driven a path down into darkness. That time is long past, but the dust still falls in a trickle into the Abyss it opened grain by grain. It was not long before men came to the opening of the Abyss, but like the Abyss itself the settlement that would be Dust Falls grew by degrees. It began as a clutch of buildings left as base camps for the first few to go down into the Underhive in search of fortune. Then a few more, perhaps as defense against those that returned, changed men. Then guilds smelt profit and opportunity and came and set up camp, and in their wake came their Watchmen and the gangs who come to any centre of Humanity like wasps to honey. So Dust Falls was born. Spreading at first along the rim of the Abyss, where the first dome had collapsed, and then down into the twisted structures of the tunnel's walls beneath the rim. When it became known as Dust Falls is not known, but at some point it acquired the name and it has been so ever since. The physical focus of Dust Falls, and the reason for its existence, is the ragged, plunging shaft that is known as the Abyss. It begins some distance below the wall, blooming out of nothing like a worm-burrowed hole in a spotless fruit. It is at the point where the shaft begins that the settlement of Dust Falls is located. From this beginning the Abyss goes straight down to the hive bottom. The width of the Abyss varies from between half a mile on some stretches to only fifty yards at others. The rim of the Abyss around and beneath which Dust Falls is built was perhaps a hundred and fifty yards in diameter. Over time though the constructions of the inhabitants has contracted the diameter of the hole to perhaps a hundred yards. The main bulk of Dust Falls is centered on the Abyss spreading both outwards from the rim and downwards for a fluctuating distance bellow it. While much of Dust Falls is simply the persistent type of scratched together slum that makes up almost all Underhive settlements, there are two areas which have an importance and character all of their own and so have names. These areas are 'The Gates' and the 'Haggle Market'. The Gates are, strangely enough, not on the periphery of Dust Falls but right at its empty heart. The Gates is the area which directly borders onto the Abyss, and this area is spiked with gantries, jetties and cranes that jut out into it. Huge coils of plasteel cable lie on drums that are turned by alcohol powered engines. These belch caustic fumes out as they coil and un-coil thousands of feet of cable, polluting even more the already clogged air. For it is here that many fortune seekers come to buy their passage down into the Abyss aboard one of the welded cages that dangle below every jetty. The 'Gates' themselves are the gates that stand at the landward end of every jetty. Most have no physical barrier as such, just a crude frame daubed with the owner's name and the tags of the gangs he pays for protection. Anyone passing through a gate into the Abyss must pay a toll to the owner of the gate, a toll that includes a commission to the guild for being allowed to charge the toll. The tolls are often for both entry and exit through the gate, but some charge a return toll payable if and when the traveler returns. Returning and failing to pay because of an unprofitable expedition results in the returnee being hung from the underside of the jetty. There are many fragmenting corpses grinning warnings at those who descend past them in the swaying cages. Of course, no single cage can take a treasure seeker all the way to the bottom of the Abyss in a single drop, but there are several waypoints at various depths, formed around convenient protuberances from the Abyss wall. From these points a treasure seeker can set off to plunder whatever deep level they are on, or begin the treacherous descent to the hive bottom itself Those that are foolhardy enough for the second option must travel down through the twisted wreckage that makes up the Abyss's honeycomb-like walls. Such a journey can take a long time and so the high prices charged by the gatekeepers of the deepest traveling cages is often willingly paid by fortune seekers who wish to keep their journey to the depths of the Underhive as brief as possible. On returning, anything of value found since passing through the gate must have a tariff paid on it to the Guilders whose representatives assess the tariff required based on the value which they place on the items. There are, of course, many gates, and only so many Guilders, making bribes to let explorers pass a gate with undeclared booty a common source of profit for gatekeepers. The penalty for passing through a gate without paying the tariff on items of value is to be summarily thrown into the Abyss and gatekeepers found to be taking bribes are hung from their own gate until there is nothing left hanging. This makes the bribes they require fairly steep, but even so it's often cheaper than paying the Guilders. The Guild also reserves the right to purchase any Archeotech at the price they assign. Failure to comply results in the long fall into the Abyss. Haggle Market, or simply "The Haggle" as it's often known, is a small area centered on the open space next to the Guild House. Here, licensed traders barter and sell, and profit flows (mostly into the Guild coffers). Some is the Guild controlled trading of items brought up from the Abyss. The overwhelming majority of the trade though is to those about to venture into the Abyss. All manner of equipment, in varying states of repair, is on offer - from Van Saar made envirosuits to luminescent snake venom sticks. Again, the Guild dominates Haggle Market, but traders offering other services such as surgery; writing, fortune telling and the ubiquitous booze sellers, their huge crazed glass jars lashed onto their shoulders, also ply their trade in the Haggle. Dust Falls is a place of wild dreams and crazed ventures, but it is also a place of great potential wealth and as such has always be dominated by two power blocks; the Guild and the Underworld. The Guild keeps as tight a hold on Dust Falls as it can using its licensing of gates and control of tradable goods brought up from the Abyss as a means to keep the settlement in hand. Not that this control is easy or without conflict. The Guild relies heavily on agreements with local gangs over protection rights to the gates to maintain their authority. If this relationship were ever to fail the Guilders' grip would slip, as their means of enforcement became less keen to carry out their duties. The other major power in Dust Falls are the networks of smugglers, illegal traders and extortionists who run their operations like a shadow of the official Guild operation. In fact the two worlds of Guild and Underworld frequently intertwine and become difficult to distinguish. Usually both sides tolerate each other as long as the one does not threaten the continued existence of the other. If The Guild clamps down too harshly on smuggling of goods from the Abyss, a violent and usually short war will result, in which gates will be destroyed, Guild property smashed and goods stolen. H the Underworld begins to bypass the gate tariffs to such an extent that Guild profit is reduced, kill-teams will be dispatched and the Underworld will be culled until the equilibrium is reestablished. It is an unlikely, but symbiotic, relationship bought in blood over many decades, and the details of exactly what each side can do within its boundaries have been honed to a fine art. The official keepers of the peace are hired by the Guild from local gangs and are divided into two types: Watchmen and Gateguards. The Watchmen are charged with keeping the peace within the settlement boundaries (though they care little for what goes on its margins or outside) and it is a position that is bartered for ferociously between the gangs and the Guild as the benefits of enforcing the peace in Dust Falls can turn a gang's fortunes in the Underhive. The Gateguards are unique to Dust Falls and are charged with ensuring that gate tariffs are paid. They are also charged with the defense of Dust Falls from anything that might decide to creep up out of the darkness below; hence gangers from the Gateguard gangs man the weapons that are mounted on gantries extending out over the Abyss, their muzzles trained on the depths. Gangs from all the major houses are present in Dust Falls, and many function as Guild or Underworld muscle (sometimes both). Others come in the hope of buying passage down into the Abyss and returning wealthy. Whatever draws them, the number of gangers in Dust Falls is huge with each controlling territory in and around the main settlement. The amount of creds and goods that pass through the empty-hearted town is such that war between the gangs is almost constant. Much of this conflict takes place on the margins of Dust Falls, but it is not uncommon for a dispute over gate protection rights to result in raids on the gate in question, or gunfights in the streets. Even in the living nightmare of the Underhive, the Spyrers are spoken of with a shudder. Parents scare small children into obedience with a mention of their name and grown men fall silent at tales of their attacks. To Underhive dwellers they are demons of the darkness, blood-soaked fiends who prey upon the warring gangs without compunction or pity. These creatures are not devils or ghosts, as the Underhivers know all too well. They are the sons and daughters of the Noble Houses that rule Hive Primus and the whole of Necromunda from the fastness of the Spire. These siblings of noble blood are cast down into purgatory to prove themselves tough and resourceful enough to take their place amid the ruling families. In a hive containing so many billions of souls, only the most dynamic and merciless individuals can expect to rule, or indeed to survive. Spyrers are sent below the wall in teams. Once in the Underhive they can expect little help, no money and no resources: they have only the equipment they bring with them and their own native wits to help them survive. Of course, a Spyrer’s hunting rig is no ordinary set of armour. Spyrers use ritualized combinations of weapons and armour that favour different combat styles. Each rig is meticulously crafted off-world, a wondrous device of half-forgotten technologies worth its own weight in credits. The rig is self-sustaining and self-repairing, with integral weaponry and, most importantly of all, built-in power boosters which activate as the wearer gradually masters the suit’s functions. These power boosters make each Spyrer evolve in a subtly different way, creating a diverse and powerful group of individuals in each hunt. Lilah is a young emergent psyker the players meet aboard the Maglev Train in Scene 1. Coinciding with the beginning of the events in Chapter 1, Lilah began manifesting psychic powers, however she is not in conscious control over them, nor has her recent power gone unnoticed. Lilah came to the attention of a Spyre Hunter team that has been prowling the Underhive in search of Wyrds to capture and transport back to the Spire. What happens to these Wyrds is a matter of conjecture, but it's widely known anyone captured by the Spyre Hunters is never seen again. Lilah has been pursued by the hunters for several days now, and immediately prior to her attempt to flee via the Maglev train, she managed to kill the winged Yeld. Unfortunately, that still leaves three remaining hunters hot on her trail. Assuming that Lilah joins the group, over the course of the Campaign Arc Lilah will show signs of incredible power, culminating in a difficult choice for the group. The Cult of the Azure Serpent is just one of many cults being drawn to the events in Hive Primus. Masquerading as gangers from House Delaque, these cultists of Slaanesh are utilizing the chaos rifts to access and steal equipment and supplies and return them to the Sump and Balok the Deadly's stronghold surrounding the Chaos Gate. Assuming the players observe them or interrogate them, their ties to the events and the clue to Balok's whereabouts are found, leading the players to the Gates and over the edge into the Abyss. Aboard the Maglev, the players are enjoying an uneventful ride through the Underhive to Dust Falls. However, things are about to take a turn for the worse. Out from the door at one end of the Maglev car bursts a distraught looking woman. She slams the door behind her and backs towards the other end of the car, directly towards the players. Suddenly the door dents inward and the woman screams! Lilah (as the players will discover is her name) is being pursued by a trio of Spyre Hunters. Unknown to the players, Lilah is an emergent psyker of frightening power, and the Spyrers have been trailing her for weeks, observing her powers as they manifest, and awaiting the proper moment to capture her as a trophy for their unknowable purposes. Pursuing her through the Maglev cars are an Orrus and a Jakara, while atop the train scuttles the insectoid form of a Malcadon (awareness checks to hear it moving on the roof). If possible, the Malcadon will attempt to get behind the group and neutralize them with its web spinners, while the other two assault from the front - trusting the Orrus's heavy armor and force field and the Jakara's mirror shields to protect them from harm. The Spyrers main concern is to capture Lilah and return her to the Spire, this team having been sent for that particular purpose by the command of Ravion Ko'Iron, a high-ranking noble in the Spire. They will not hesitate to kill anyone interfering with their plans, and during the combat will speak to one another to this effect in High Gothic, assuming the "hive trash' they're dealing with will not understand them. If the players save her, she joins the party as a guide to the area of Dust Falls and will act as a go-between for some of the local powers, providing the players more favorable reactions than they would otherwise receive. During this battle, Lilah will not manifest any psychic powers. Over the course of the campaign arc it will come to light that Lilah is in fact a psyker with incredible potential, albeit untrained and dangerous. In the final scenes of the Chaos Gate campaign arc the players will be forced to choose Lilah's fate due to the intervention of the Inquisition. Note that until this plot thread is resolved, Lilah remains an NPC and will accompany the players throughout the remainder of the campaign. Note that with a few exceptions the major equipment the Spyrers carry is unique to the wearer and is of no immediate use to the players. The exceptions to this rule are as follows: Filter Plugs, Photo Contacts, and the Jakara Monomolecular Sword. Tech Priest characters could be interested in the remaining equipment nonetheless, and any equipment retained may provide future plot hooks as the Tech Priest attempts to uncover the secrets of the Spyre Hunter gear. Once the players have defeated the Spyrers and rescued Lilah, they deserve a little down time. They reach the MagLev station in Dust Falls without further incident and debark. Their information suggests that Count DeMonet's warehouse is in the market/entertainment district known as The Haggle. The group will no doubt need to rest and re-supply, and both can be done in the Haggle. 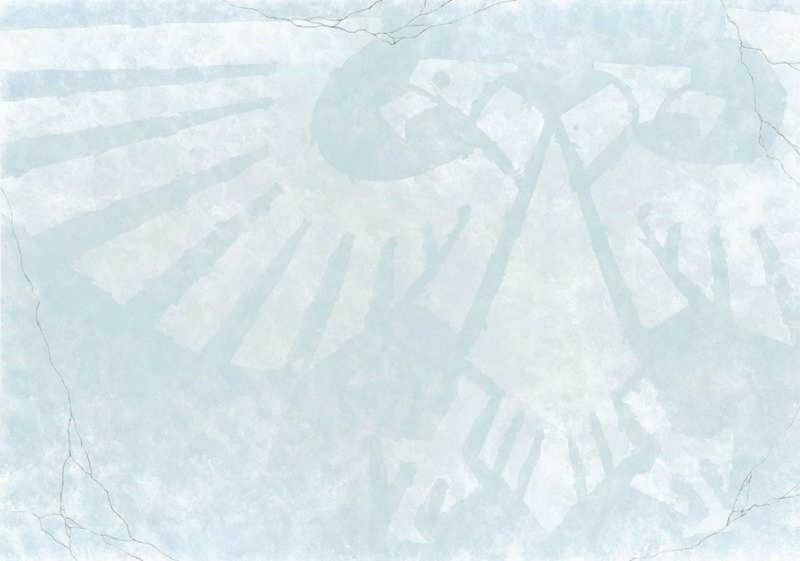 As the players should currently be in possession of Necromundan Credits rather than the standard Thrones used throughout the remainder of the campaign, the costs and availabilities of equipment may be approximated using the tables available in the Necromunda LRB. Notable exceptions to the rule as follows, and availability of these weapons is at GMs discretion: Melta Gun, Plasma Gun, All Power Weapons, Plasma Pistol. The lethality of these weapons in RP make the costs roughly 8x more expensive in credits than listed (i.e. a Power Sword should cost roughly 464 credits to maintain approximate cost parity with 40K:RP). There are numerous people within the Haggle, members of local gangs, Guilders, members of the Underworld and everything in between. The characters may garner new contacts, rumors (and lies), and information surrounding the recent events: At this point, everything is starting to get out of control - the various Underhive gangs are having trouble keeping their territories safe, warp-spawned beasts roam the Underhive, the Enforcers are patrolling the streets in large numbers, and rumors of Imperial Guard and even Space Marines being seen in the Underhive are rampant. The players are told about an upcoming pit fight event, where they may wager their hard-earned credits for fabulous rewards. Not only that, but the rumors running rampant are that Guzman Ludd (an infamous Guilder) is displeased with the bounty hunter Kal Jerico, and as punishment is pitting him against a number of chrono-gladiators in a last man standing event for the amusement of the masses. The players may wager on the outcome of the event, with odds heavily in favor of the Chrono-Gladiators. The pit fight itself is resolved using the standard Necromunda skirmish rules, with each player controlling either Kal Jerico or one of the Chrono-Gladiators, represented in this case by Ogryn Bodyguards (No one ever said Guzman Ludd runs a fair fight, of course). Of course, Kal Jerico has plot immunity, which mean that if he is defeated, he isn't necessarily killed - after all, Guzman Ludd still has uses for him. Guzman Ludd is a repellant, bloated merchant trader who is desperate locate the legendary Motherlode, a long lost trove of ancient technology. He is crooked and underhanded, and is reputed to have ties with members of the underworld. It is only through craft and treachery that Ludd has managed to remain a Guilder. As the suavest Bounty Hunter in the Underhive, Kal Jerico has a reputation to maintain. A reputation for being as fast with his guns as he is with his mouth; a reputation for idiotic recklessness, with only a pair of fully charged laspistols; an immaculate sense of style, and his sometime sidekick, the pustulent, renegade Ratskin half-breed Scabbs to see him through. So what if it’s led him to being outlawed, hunted down, shot at, blown up, nailed to a wall and almost burned alive? Why, he wouldn’t have his life any other way. Of course, some people can’t help but bear a grudge and most of Kal’s troubles can be laid at the door of his small but impeccably selected collection of enemies. Be it the psychopathic ex-pit slave, Vandal Feg; the fanatical redemptionist, Cardinal Crimson; the rogue noblewoman-turned-outlaw, Yolanda Catullus; or the shadowy spymaster, Nemo the Faceless, you can be sure that if they get their hands on Kal they’ll be chopping off more than his plaits! The players will start to notice that the locals are getting a little restless. There are weird things happening. 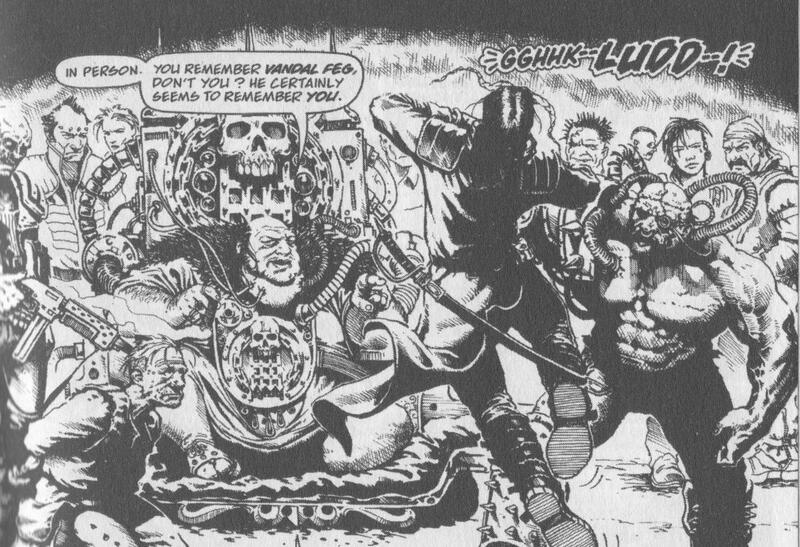 The balance of power is shifting from one gang to another, outlaws are running rampant through the shanties and settlements, and in general, nothing seems to be what it really was before the warp rifts started happening. The locals are so on edge that communities are banding together to help each other. Due to the weakening of the fabric of reality that separates the real universe from the Warp, Wyrds are discovering that they have a new access to the energy sources that feed their abilities. 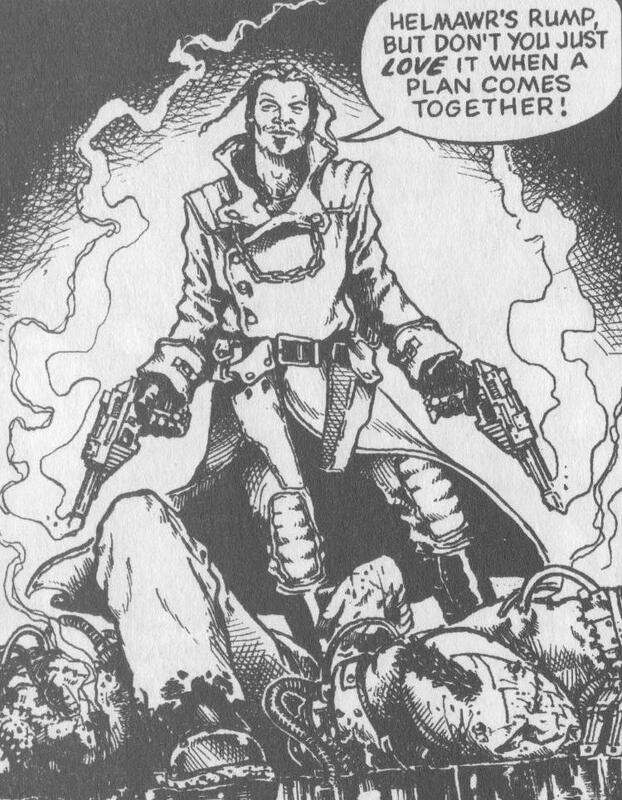 At this point in the campaign, Unsanctioned psykers (including Lilah) each gain an additional Major power from their specialization. Note that this does not affect Sanctioned Psykers. While protecting Count DeMonet's warehouse, the players run afoul of what appear to be gangers from House Delaque, stepping through a tear in reality in a similar manner to what the party has seen before. Assuming the players take the time to observe and listen to the interlopers, they will discover the gangers are actually chaos cultists. Psykers or other Warp-attuned characters may test to notice a particular wrongness about one of the cultists - Lilah in particular will be visibly terrified of something amongst them. However, just as the players make their move to capture or kill the cultists, the sound of a door rattling open reveals a group of gangers who have engineered quite possibly the most ill-timed robbery attempt in the history of Hive Primus. If the players remain hidden and observant of the situation, the gangers and the cultists will exchange a few choice words prior to opening fire on one another. The cultists have a disturbing reaction to death, seemingly crying out in ecstasy as they are slain. The leader of the cultists in particular will reveal itself to be a terrible force of chaos - If the leader is grievously wounded, he opens himself to possession and erupts in a ghastly transformation into a Daemonette of Slaanesh, jewel-eyed and deadly. The players must pass a Fear 3 (-20 Wp) test and regardless of the outcome will receive Corruption Points for witnessing the event. If they fail the test they also receive Insanity Points. Assuming the players have not yet interfered or been discovered by this point, the Daemonette’s heightened senses will notice the players and it will admonish them for their wicked voyeurism, and leap to the attack. General mayhem will no doubt ensue. Any native Necromundans will know the quickest way to reach The Sump is over the edge of the Abyss, but of course things are never easy. Once the players have geared up for their decent into the Abyss, they move on to Chapter 3.